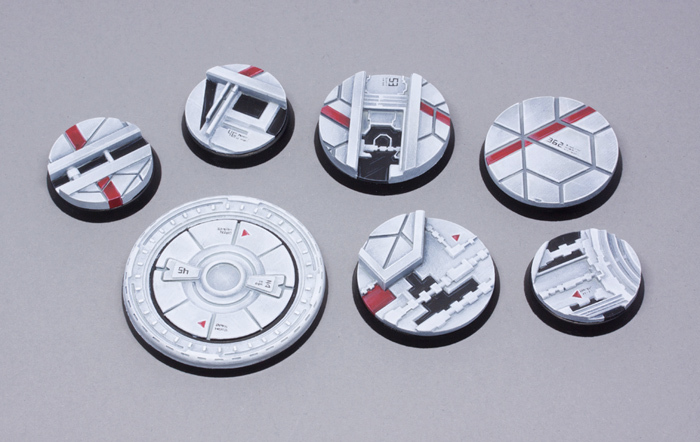 We have new Starship bases in our assortment: 25mm, 25mm DEAL, 32mm, 32mm DEAL, 40mm, 40mm DEAL, 55mm 1, 55mm 2 and 120mm Oval. Our Trays and Inserts for Really Useful Boxes have been hugely popular since we launched them. 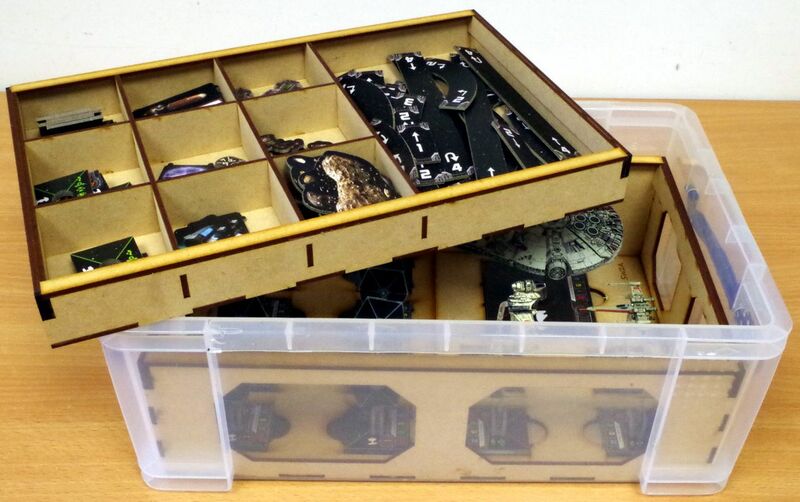 We recently had a customer request to put together a storage solution for Fantasy Flights Star Wars X-Wing. This we did and have now made it available as a product in our web store for anyone else who is interested. 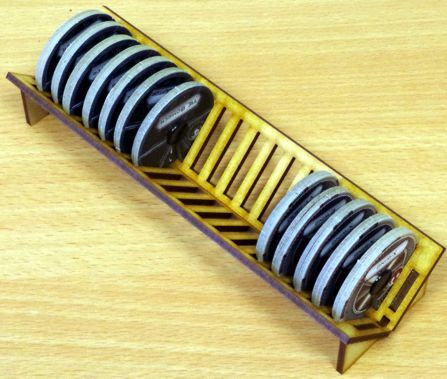 The system includes a sturdy 100mm deep tray for storing the model ships. There are two inserts that fit inside this, one holds 8 ships on small bases, one holds 4 ships on small bases and one on a large base. 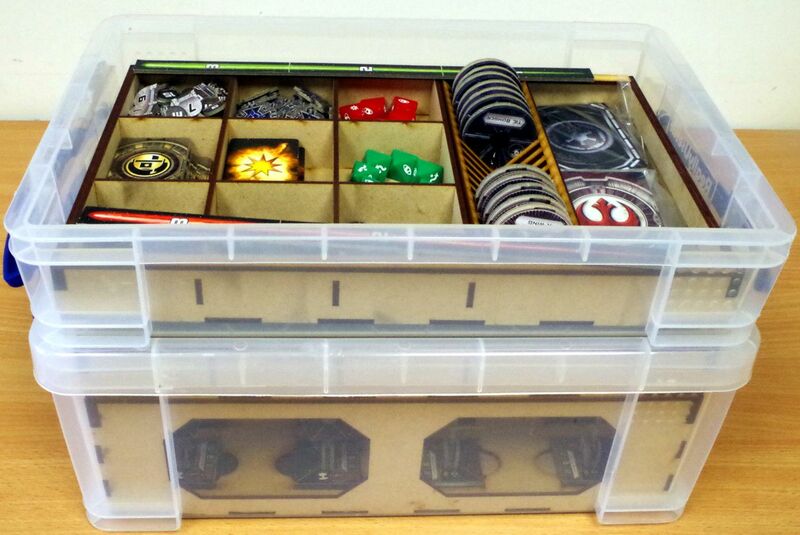 The components for the game are stored in two 35mm deep 10 compartment accessory trays. 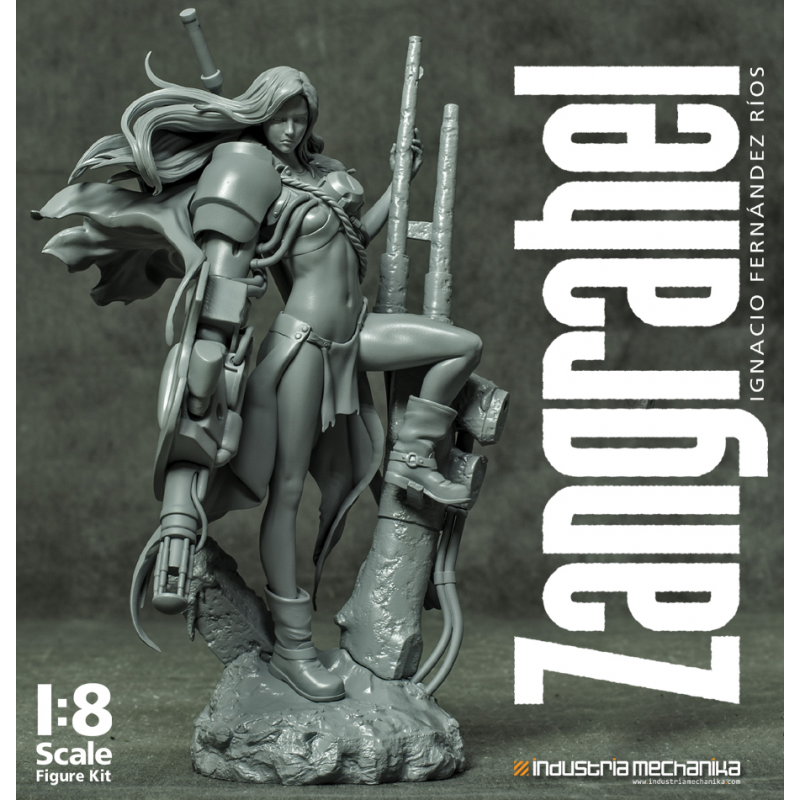 As a gamer I like this approach, it keeps the models and other components together, is easy to pick up and take along to the club, and means that all the little bits and pieces are easy to find and use. 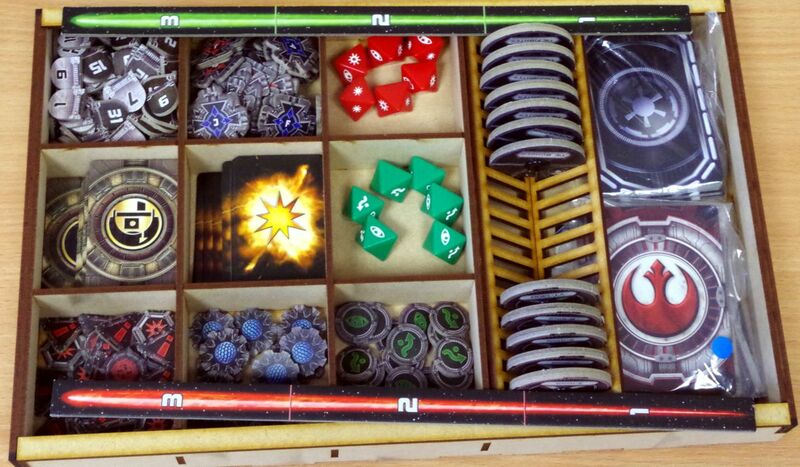 I've put the pieces that are used for pre-game set up in one tray and the tokens and markers used in-game in another tray so that it can be lifted out and placed on the side of the gaming area. 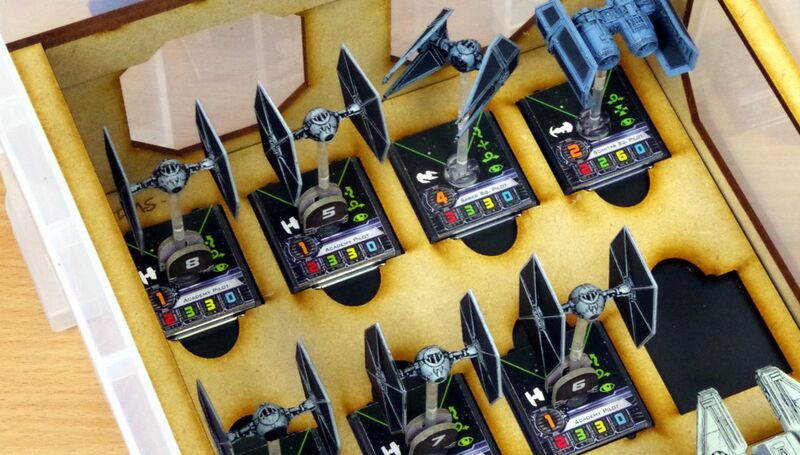 To finish it off we added a disk tidy to hold the maneuver disks. All of these components are available so that you can mix and match according to what models you have in your collection, or as a discounted starter bundle.